Pipelines, for a long time, were the most important method of transportation for natural gas. This fixed form of infrastructure has the advantage of lower transportation costs in the long-term. The disadvantage, however, is the dependence of producers on a limited number of buyers and for consumers a limited number of suppliers. With this in mind, few pipeline projects are as contentious as Nord Stream 2, a project that will increase the dependence of the EU on Russian gas in a tense geopolitical environment. Despite opposition, the project looks to be progressing according to plan. Gazprom, the owner of the pipeline, and its Western investors, notably Shell, OMV, Wintershall, and Engie supported by the German and Russian governments, are facing a barrage of criticism from Eastern Europe, the U.S. and the European Commission. Despite pressure to cancel the project, recent developments have increased the likeliness of the pipeline being completed. When completed, Nord Stream 2 will have a capacity of 55 bcm and run parallel to the original Nord Stream 1 pipeline. Dwindling reserves in the North Sea region increase the necessity for imported natural gas. Furthermore, the rising importance of environmentalism and the phasing out of coal has increased reliance on natural gas as a relatively clean fuel to supplement renewables. However, fear of Moscow using gas as a weapon prompted the European Commission to attempt to obstruct Nord Stream 2 using legal and political tools. But so-far efforts have failed due to a lack of jurisdiction and opposition from Germany. Despite pressure from a unified Eastern European group supported by the Commission, Berlin is holding its ground. Germany’s position is overtly economic with some political considerations regarding the U.S.
Gazprom’s position on the European market is solid as it has proven to be a swing producer with significant spare capacity to balance the market. During the winter season of 2017/2018 Europe was hit by extreme weather during which Gazprom provided additional supplies to keep homes warm and factories in business. Nord Stream 2 fits with the company’s strategy to replace depleting European reserves while at the same time serving the Russian state’s interests. The latter, however, has negatively impacted the market value of the Russian giant. Right before the economic crisis of 2008, CEO Alexei Miller was sure the company would reach a market capitalization of one trillion from $340 billion. 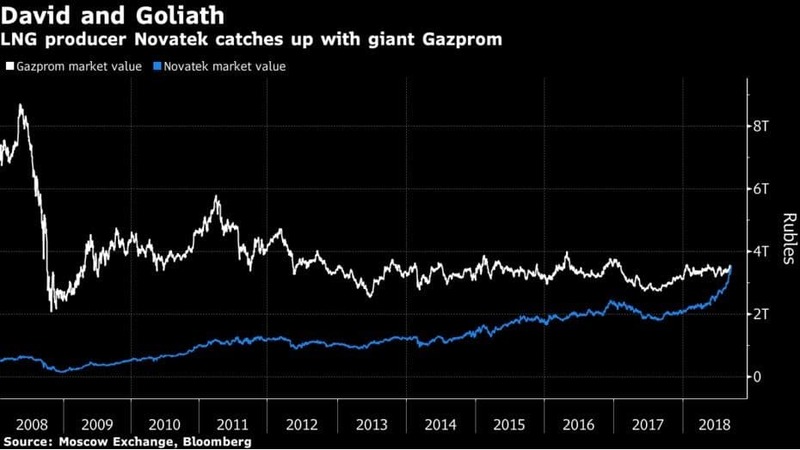 Since then the value of Gazprom has plummeted while that of Novatek’s has risen significantly. Now, both companies are valued at around $50 billion. 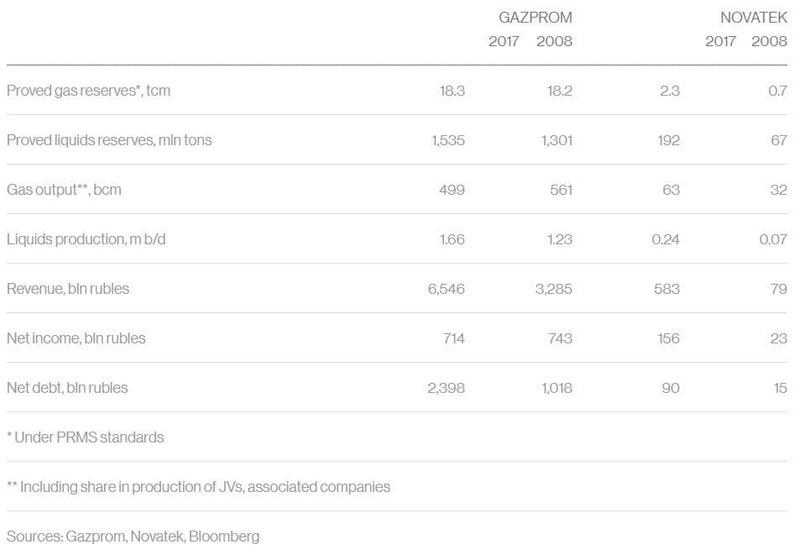 This is all the more interesting as the latter’s production and proven reserves are just a fraction of Gazprom’s. Construction of Nord Stream 2 has already started. Until recently most activities had been limited to onshore construction and work in the territorial waters at the Russian departure point near St. Petersburg and the German area near Greifswald. However, on September 5th the ship Solitaire with its 420-member crew started welding 12-meter, 24-ton pipes on-board. Working around the clock, seven days a week, the ship is able to lay 3 kilometers of pipeline a day and finish the 1200 kilometers project in 400 days. The chances of stopping Nord Stream Two decrease with every pipe that is laid on the seabed. All legal and political options within the European Union have been spent and potential American sanctions would further strengthen the resolve of the German government not to look weak. Either way, Gazprom seems to have won this round. Besides Germany, countries like Austria, Finland, Italy, Hungary, Turkey, Serbia are supporting gas pipelines out of Russia (Nord and Turkish streams), Bulgaria has asked to be made part of the Turkish Stream. Who is against? Ukraine's current regime that is not only supremely corrupt but utterly untrustworthy, a result of the Februray 2014 coup and civil war; three small Baltic states, and Poland...and US which wants to sell its expensive LNG by exerting political pressure. Effort to politicize Nord and Turkish streams are not working. These pipelines are not "controversial", but rather supported by key states in Europe. All energy politics are nonsense not based on atomic power needed longtime at all if no special situation like norway or brazil with much water power etc. and anti atom was based on foreign communist terror like rocket attack on superphenix in france not russia staying still in governments europe. Nordstream 2 personal profit G. Schröder. New zero risk all cases and cheap RBN-Th pebble bed HTR and Li-7 Th HTR still to be developed for quick build up over 10TW worldwide before fossil energy peak 2025-2030 with prefered CNG out of H2O-H2 feom atomic power and air CO2 exotherm reaction in combination with new CO2 centrifugal compressor turbines efficiency near 100%. RBN white diamond cubic boron nitride isotopes B11 & N15 latest lucky only 1/100 absorption of C-12 for using only ThO2 30years pebble runtime and storage. Even if the Russian pipeline proved to be a failure, the Russian economy would not fail, because it has increased the sale of weapons for hundreds of billions of dollars all over the world. Unlike Western economies, which have "debit currency" and are tied to an international monetary system, which is practically a fraud, Russia is gaining thanks to the war in Syria. This war is an excellent advertisement for Russian armaments. Whether or not it is the North Stream 2 pipeline, it is more useful to Europe than to Russia, since Russia already has Asian markets to sell weapons and natural gas. Asian nations, having monetary systems associated with real economies and not sovereign debts created by central banks, can also thrive with permanent local conflicts. For this reason, while the West ends up bankrupt because of usurious and bankruptcy banking systems and financial policies that do not produce real wealth, the Asian nations will be increasingly stronger, even militarily. 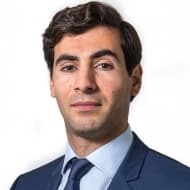 Once again, even the raw materials markets show that the development models based on real economic strategies, beat those based only on financial profits, because the latter do not guarantee security and stability to investments. Who cares what the pauper countries of Poland and Ukraine et al think. As an EU citizen I didn't want Poland in the EU in the first place And there is no way Ukraine will squirm its way into the EU. I want cheap Russian and or Caucasian gas. Ps I doubt whether the German LNG terminal for US gas will ever get built.